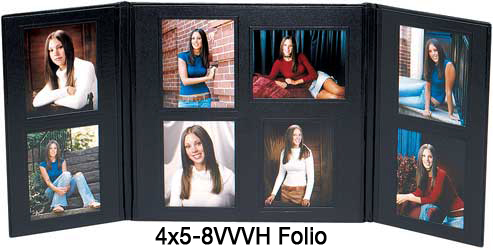 Photo Gallery Folios have a padded bonded leatherette black cover to display 4, 6 or 8 photos. 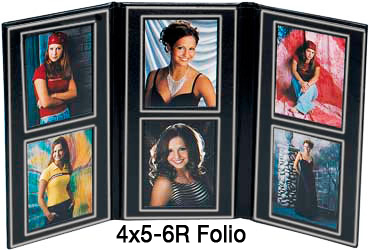 • Wing Photo Folios hold 4, 6, 8 & 12 photos. 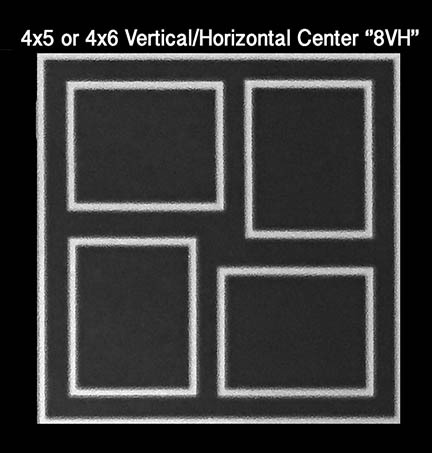 • VH stands for vertical/horizontal photos and refers to the 4 photo openings in the center. 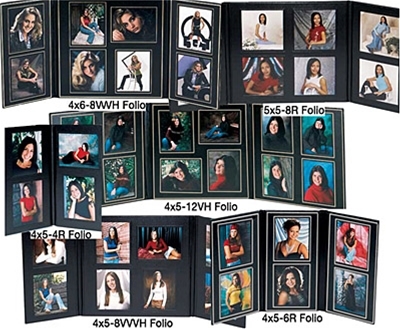 We have limited stock of BBS & BBG VVVH Folios! 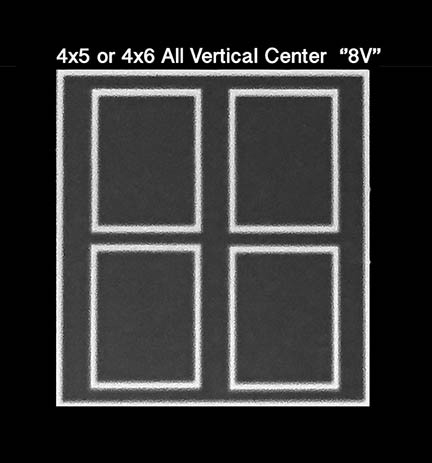 Call for current stock! 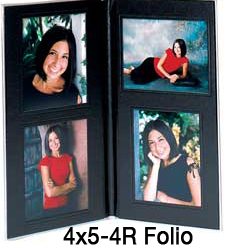 Use the pull-down menus ABOVE to see the specific prices for each Photo Folio.